AArrive in Keflavik. The Flybus shuttle will bring you from Keflavik International Airport to your hotel in Reykjavík where you will spend the night. 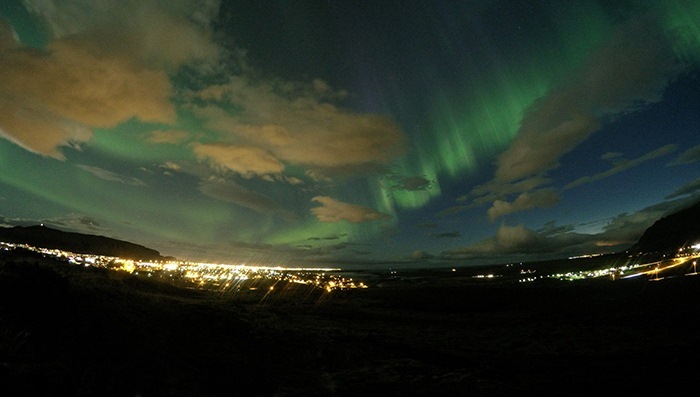 You will be provided with ideas how to explore Iceland’s capital on your own. Accommodation in simple tourist-class hotels and cottages as per itinerary (subject to availability) at the time of booking or similar. Includes 4 Breakfasts and 2 2-Course Dinners, 2 Midnight refreshments on day 2 and 3, meals as per itinerary (B= breakfast, L= lunch, D= dinner). DEPARTURE DATES: 2018 – September 30;October 7,14,21,28; November 4, 11, 18, 25; December 2, 9, 16, 28*; 2019 – January 6, 13, 20, 27; February 03, 10, 17, 24; March 03, 10, 17, 24; April 07. At times there may be special deals- enquire at the time of booking. New Year’s departure is more expensive program and inclusions are slightly different. There is limited day light, about 5 to 6 hours, for departures mid November to End of January. For your information the shortest day light in Iceland is on 21st December, about 4 hours. Most double rooms in Iceland are actually twin bedded rooms. The New Year’s departure is more expensive as program and inclusions are slightly different. Tour starts with an arrival in Iceland on Sundays and guided bus tour starts on Mondays at 0830 hrs. 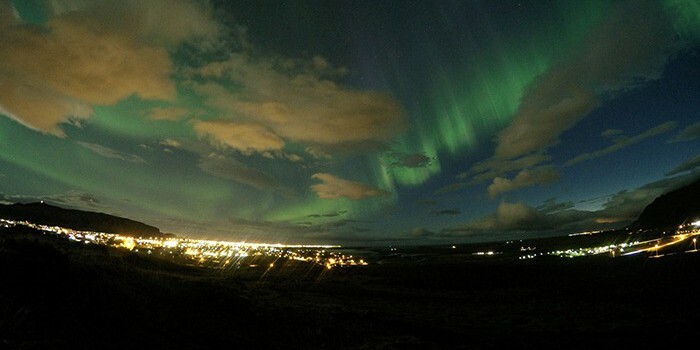 The guided tour ends on Wednesdays at around 1800 hrs for a last overnight in Reykjavík. Departure from Iceland is on Thursdays. Total mileage without airport transfer is 910 km (564 miles) which is an average of 303 km (188 miles) per day. You spend about 4 hours per day on the bus, depending on road conditions, traffic and daily distances. On some days the driving might be longer than on some other days.